The Cool 2Be Kind campaign is an initiative of the Winnipeg Police Association and focuses on teaching youth in grades K-8 the value of being kind. Entering our seventh year, this positive behavior initiative outlines the benefits of being kind to others and making good choices in school and in life. Students and staff are invited to create and submit a unique kindness proposal for their school with the opportunity to receive funding in the amount of $500 to see their program come to life. 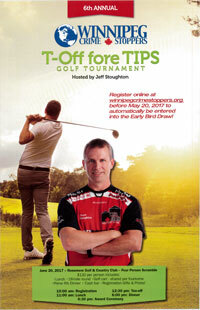 The WPA is the presenting sponsor for the Special Olympics Manitoba Stars ‘FORE’ Special O golf tournament. The tournament takes place at the beautiful Glendale Golf and Country Club. This golf tournament was developed to raise funds and awareness for Special Olympics Manitoba and its golf program and at the same time, provide an entertaining and fun-filled day for participants. Each hole is hosted by a Special Olympics Manitoba athlete, with each team assigned a Celebrity golfer including Winnipeg Jets and Blue Bomber players and alumni and media celebrities. Special Olympics Manitoba enriches the lives of Manitobans with an intellectual disability through active participation in sport. It has been proven that participation in sport will assist individuals in providing life-long skills that build their self-esteem and self-confidence, learn to compete, travel the world and discover their potential. 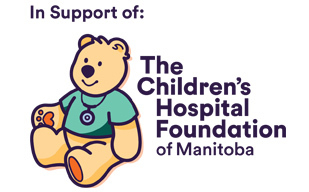 The 95th Annual Winnipeg Police Association Charity Ball in support of the Children’s Hospital Foundation of Manitoba happens Saturday, April 27, 2019, Canad Inn Polo Park. Over the past 33 years the Charity Ball has raised over $650,000 for the Children’s Hospital Foundation of Manitoba thanks to the generous support of table sponsors and raffle prize donors. The Danny Kramer Event Band will once again provide the entertainment. Always a highlight of the evening will be a special performance by the Winnipeg Police Pipe Band. Attendees will have the opportunity to win some amazing raffle prizes from sponsors such as Air Canada, RONA, S & J Construction, Danny’s BBQ & Smokehouse, D & J’s Excellent Adventures, River Park Dental Centre, Bayview Construction, Molson Coors, Morden’s of Winnipeg, WOW Hospitality, Ice Bound Excursions and Sarte Heating & Cooling. 100% of raffle prize revenue goes to the Children’s Hospital Foundation of Manitoba. The WPA Charity Ball is the longest running annual charity function of its kind in North America. 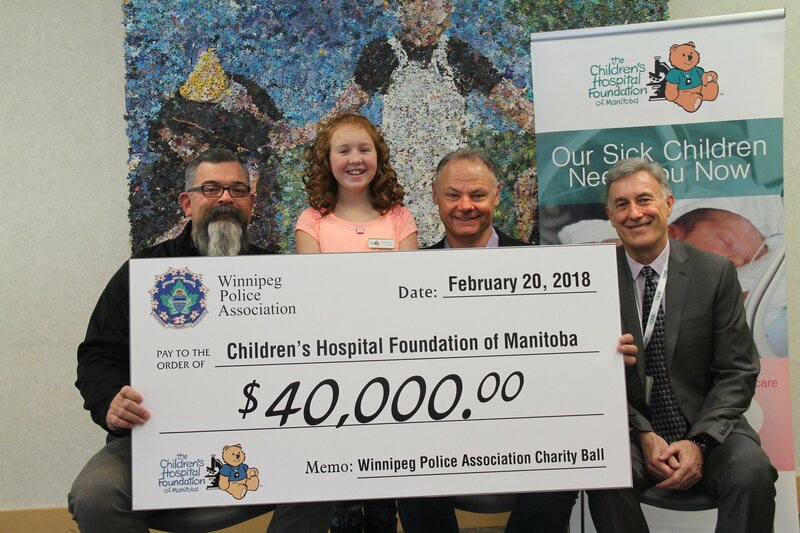 "The Children’s Hospital Foundation of Manitoba has been one of the WPA’s favourite charities of choice for over 25 years,” said Maurice Sabourin, WPA President. It is an organization that continues to deliver outstanding care for young Manitobans. The well-being of children and youth is at the forefront of all we do. The WPA participates in both the Manitoba Law Enforcement Torch Run and Polar Plunge events in support of Special Olympics Manitoba. The LETR includes participation from all major accredited federal, provincial and municipal police agencies, Provincial and Federal Corrections, as well as other federal and provincial enforcement agencies. The Manitoba LETR has raised in excess of $2 million for Special Olympics. 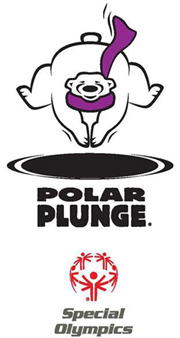 The Polar Plunge takes place in venues throughout Manitoba including Churchill/Hudson’s Bay and Winnipeg. All monies raised in Manitoba are in support of Manitobans with an intellectual disability who benefit through participation in sports under Special Olympics programs and activities. Register online at winnipegcrimestoppers.org before May 20, 2017 tp automatically be entered into the Early Bird Draw! 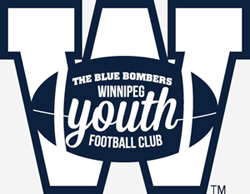 As the major part of a community partnership with the Winnipeg Blue Bombers, the WPA is the presenting sponsor of the Winnipeg Youth Football Club. Starting in January, each Thursday for a 10-week period, 200 inner-City youths attended this flag football skills camp at the U of W RecPlex in a fun-filled and inclusive atmosphere. Boys and girls from a variety of ages and football skill levels gathered together with Blue Bomber players, University, Junior and high school football coaches and WPA members to learn about football, fitness and fun. Participating WPA members include former Blue Bombers Shawn Gallant and Errol Brown; former CIS players Lindsay Stevens, Rob Thimm, Riley Clayton, Justin Malek as well as Ward Gordon, Moe Sabourin and George Van Mackelbergh.